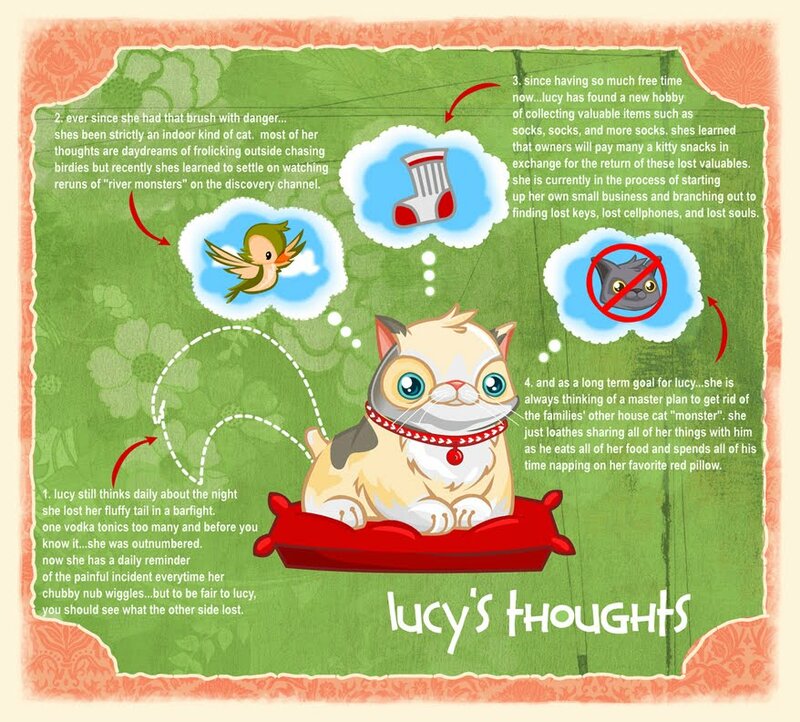 a quick study on the the daily thoughts of my cat lucy. Nhu Quynh Diep is an illustrator and an admirer of beautifully designed things. Born and raised in Orange County, California, she has found a career in designing for animation and children's games. pssssst...all images on this site are sole property of nhu quynh diep and may not be used without permission. © 2007-2014 THANKS!